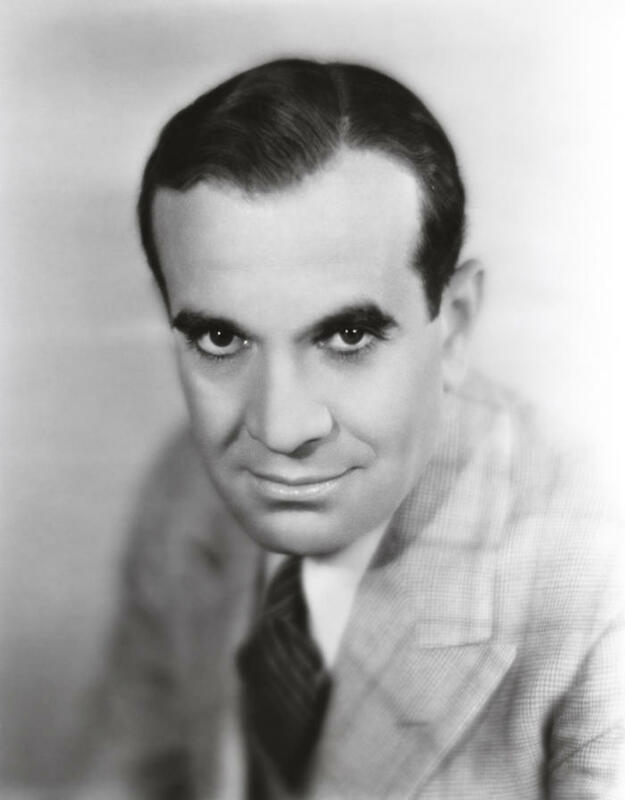 Al Jolson was a master entertainer and his performing career spanned 50 years. Jolson made a break in his career by deciding one evening to perform in "black face" at a San Francisco club; this soon became his trademark in show business. He performed for US soldiers during four separate wars: The Spanish-American War, WWI, WWII, and the Korean War. He was the first person to speak in a feature film "The Jazz Singer" based on his life. His first words were the famous lines "You ain' t heard nothing yet. 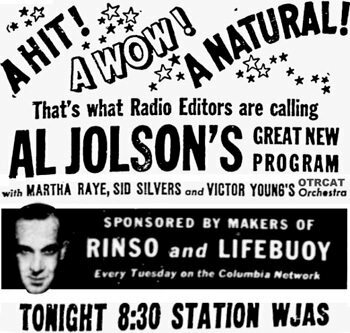 "This is a collection of Al Jolson guest appearances and his starring role on the Kraft Music Hall radio program. Al Jolson was a staunch Civil Rights activist and helped open opportunities for African-Americans on Broadway. For more interesting reading, see also: article on the history of Minstrel Shows and Old Time Radio. Be the first to comment on "Al Jolson"